My friend Dawn was visiting Portland and sent me a text "I saw this store and thought of you!" Now I need to take a trip to Portland! BUTTERCRAFT is a neighborhood specialty food and wine shop. They stock an assortment of curated wines, farmstead cheese, local meats, french macarons, imported olive oils and mustards, artisan chocolates, and (most importantly) their own handcrafted butters. Butter Sample Tray - What a great idea! BUTTERCRAFT's European-style butters use cream sourced from small farms in the pacific northwest. This cream has higher fat content for a richer and creamier experience and making it perfect for cooking. 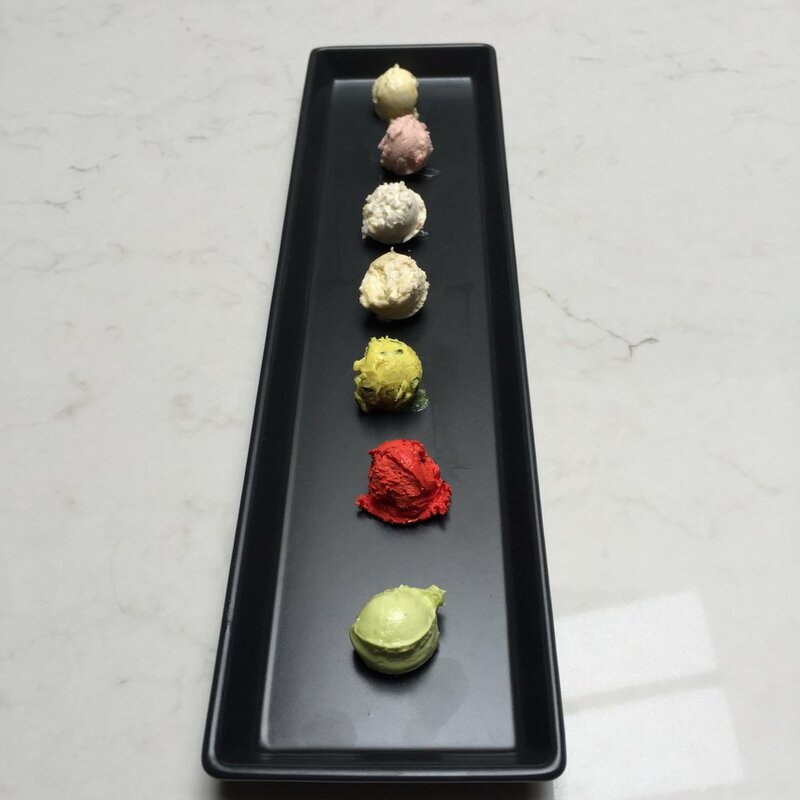 Current flavors include, White Truffle, Chive Garden, Sweet Orange Honey, Cherry Blossom and Cinnabun.